Need a new tent? 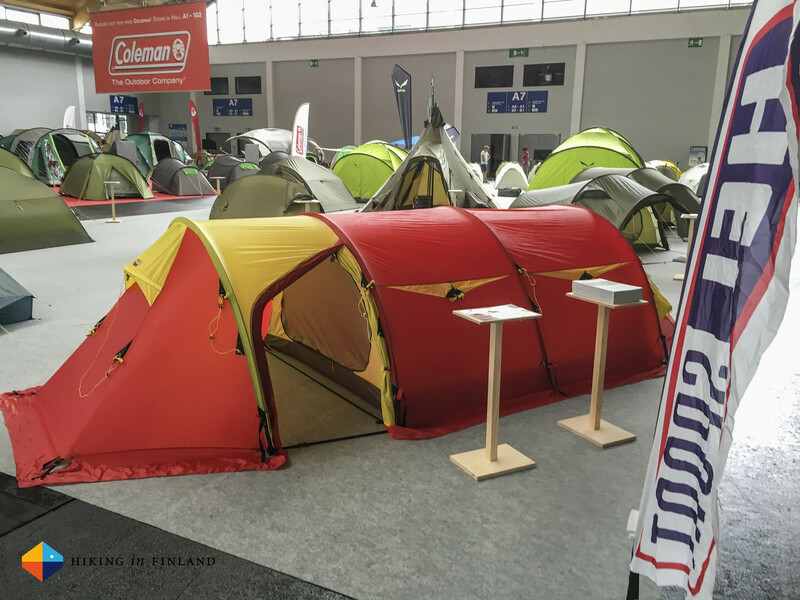 There where halls full of new tents and here’s a bunch which caught my eye. As an Helsport Ambassador I obviously wanted to swing by at my partner and see what they have in store for 2017. What I saw was very much to my ultralight heart: The Lofoten Series. Helsport has most of their designs available in three to four different versions: The Trek version, which is heavier and the most affordable option. 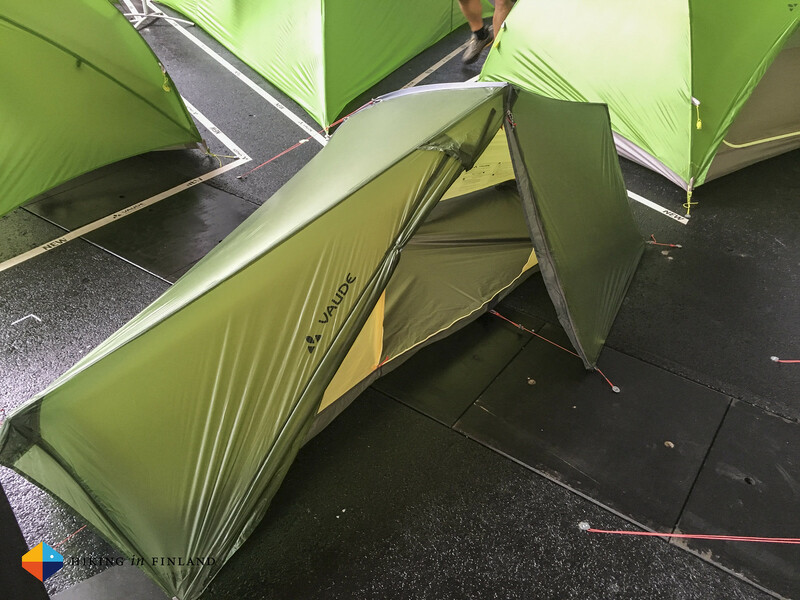 The colour of the fly of Trek tents is always a dark green, so they’re easy to distinguish. 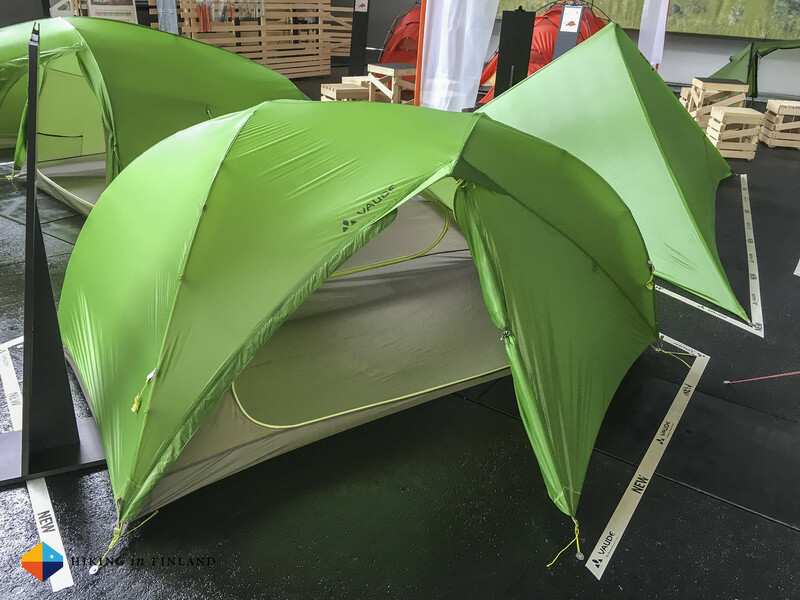 Next up are the Pro tents, which are made from slightly better & lighter materials, and they have a green-yellow-ish fly. Next up are my favourite two series: The Pro Superlight tents with the blue flysheets, which are the lightest version of each design. And finally there’s the Extreme Series with their red-yellow flysheets. These are made for expeditions in any season, are super-durable and yet relatively light. 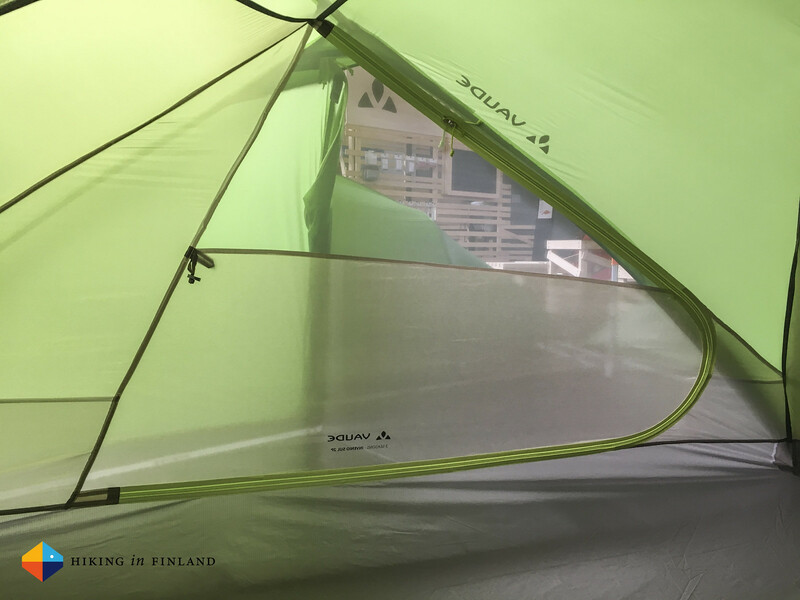 That above is the Lofoten Superlight Camp 3 tent, a 3-person tunnel tent which weighs 1.850 g. It has two doors in the spacious vestibule which has enough space for cooking and gear. As you can see at the Pro Camp underneath, the front also can be stored completely away, allowing for lots of ventilation and great views from the sleeping area. The large vestibule is also great for those of us who travel with a large dog, a packraft or bike as there’s plenty of space for storage. 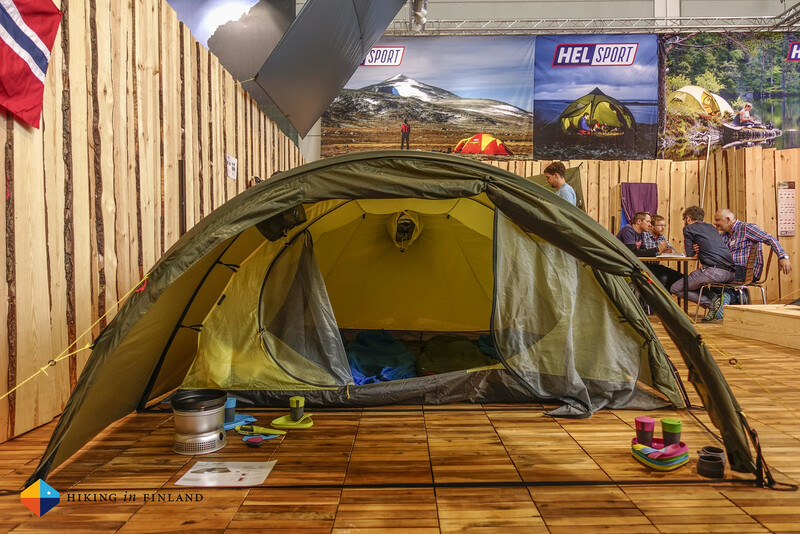 The Lofoten Trek Camp tent above is available as a 3 and 5 person version. 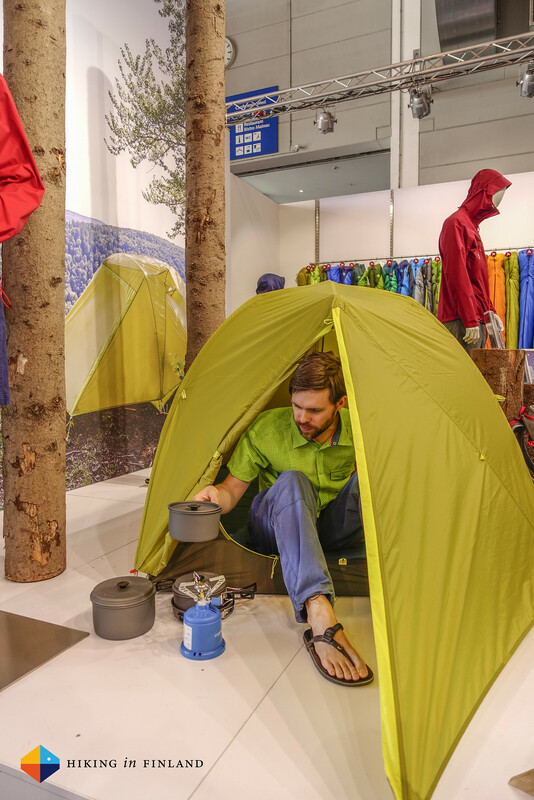 The 3-Person tent weighs 4.050 g and the 5-Person tent 4.800 g, so they’re better for short hiking or when you’re out with a canoe or bike. 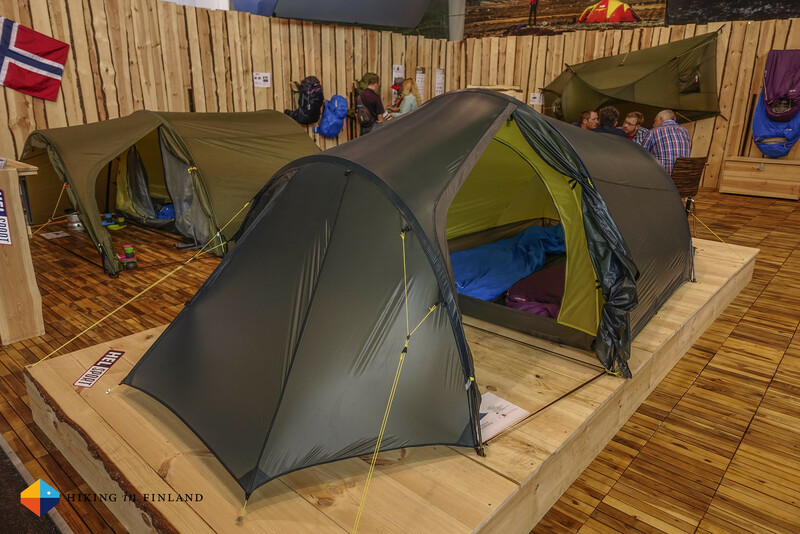 And the Lofoten X-Trem Camp 3 tent here is the expedition version from the bunch. 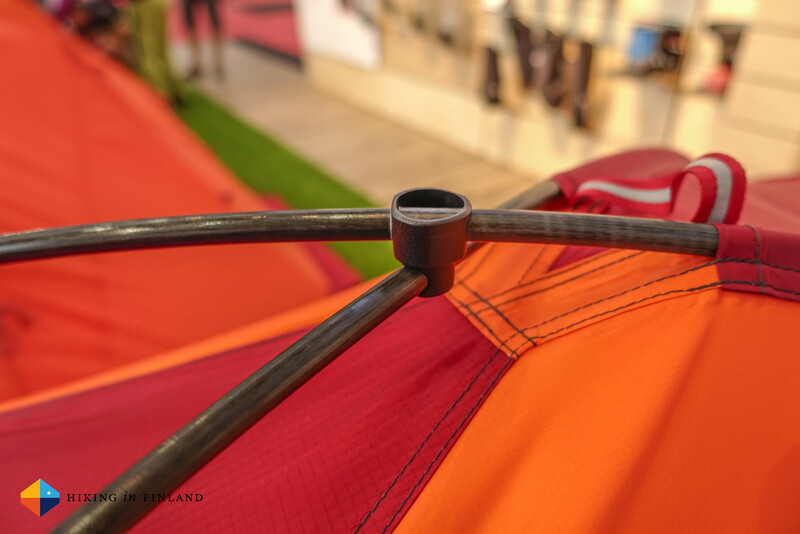 At 3.700 g it is best transported on a Pulka, but the DAC Featherlight NSL poles in combination with the design should withstand even the hardest wind gusts out in the fjell in winter. The sleeping compartment is 105 cm high, 220 cm long and 165 cm wide, so it is cozy but not too tight. Add in a 160 cm long vestibule and you have enough space for lots of kit and cooking. And then there’s the Bitihorn X-Trem Tarp above, which also will be again as a Trek, Pro and Superlight Version. The X-Trem above is 435 cm x 435 cm large and is 1.340 g light, which is pretty good for such a massive tarp. 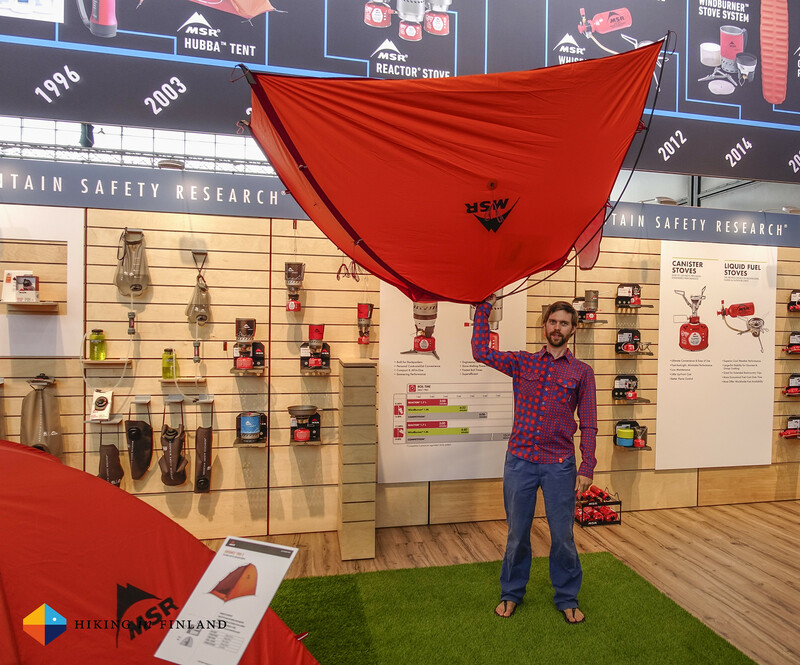 The slightly smaller Superlight Tarp (350 cm long and 290 cm wide) is 400 g, which is pretty amazing if it is true. There will be poles available which are between 132 cm and 176 cm long and weigh 70 g and 220 g respectively. 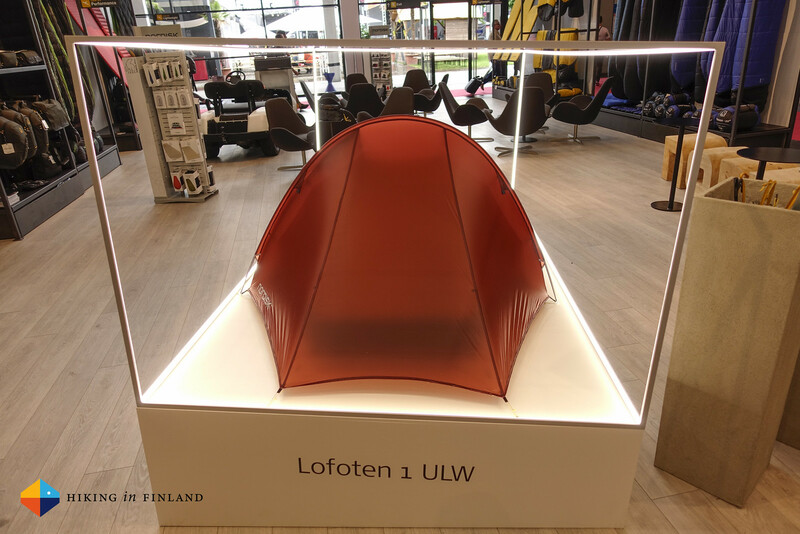 The Nordisk Lofoten 1 ULW above aims for the throne of the lightest tent in the world, and with a packed weight of 575 g incl. pegs and poles and guylines it is pretty close to that throne. But how about the usability? Well, the seating height is 70 cm, which is pretty low, even for a small guy like me. People with big feet also might find the end of the tent constricting, For smaller backpackers who can cook with fair weather in front of the tent it might be good, but we longer people might find it a bit too small. 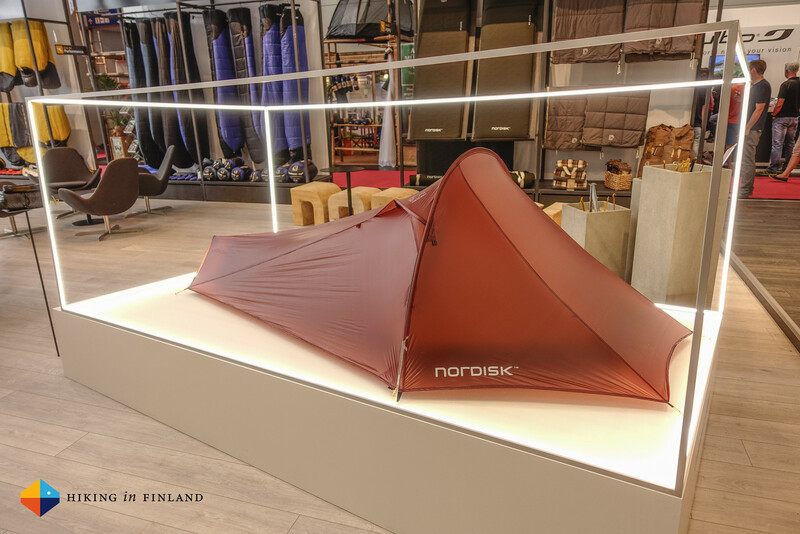 I will sit back and wait what real-world reviews will say about the tent, and while the weight is exciting there’s a reason why Pyramide shelters are so popular: They’re even lighter and have plenty of room. 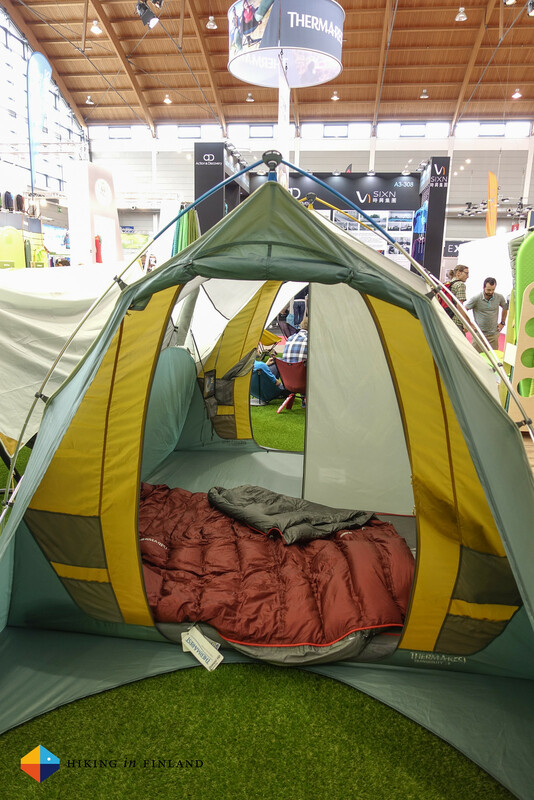 Talking of plenty of space, here’s a tent for Camping Enthusiasts: The Therm-A-Rest Tranquility 6 Tent. 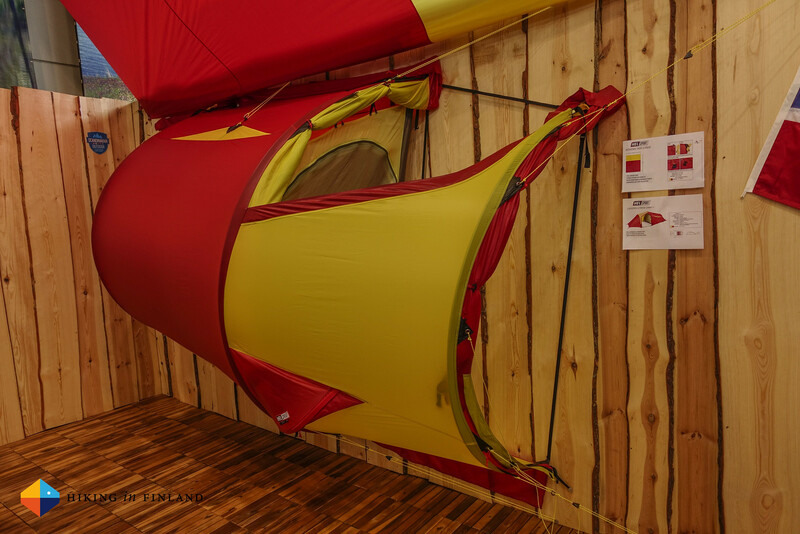 This two entry, two compartment, standing height tent is a great addition to the quiver if family Camping is in the books. 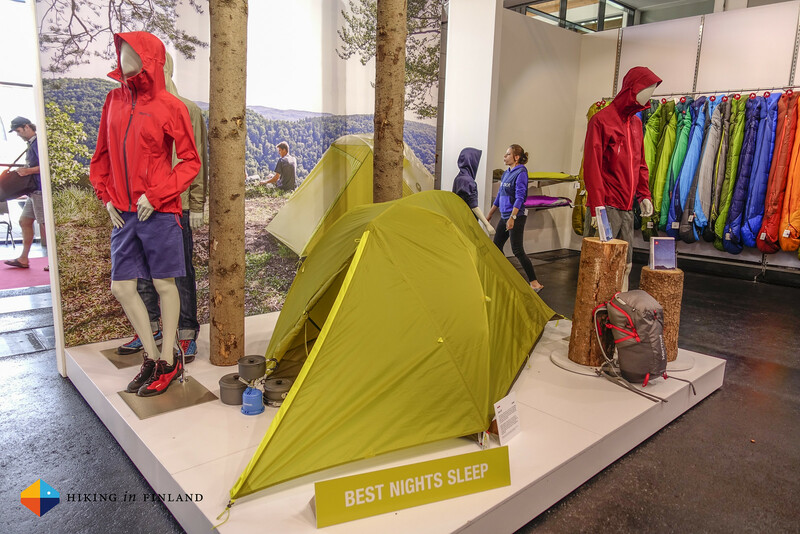 Therm-A-Rest, which belongs to the Cascade family, picked the brains of the MSR tent designers while designing this tent, so expect this V 1.0 being actually quite good. It looked easy to pitch, with smart details like the protected corners in the entry for gear storage out of the muck and plenty of mesh inside pockets for storage. Certainly nothing for the UL backpacker, but if said UL backpacker takes the family along to a camping ground a good way to make all feel comfortable. 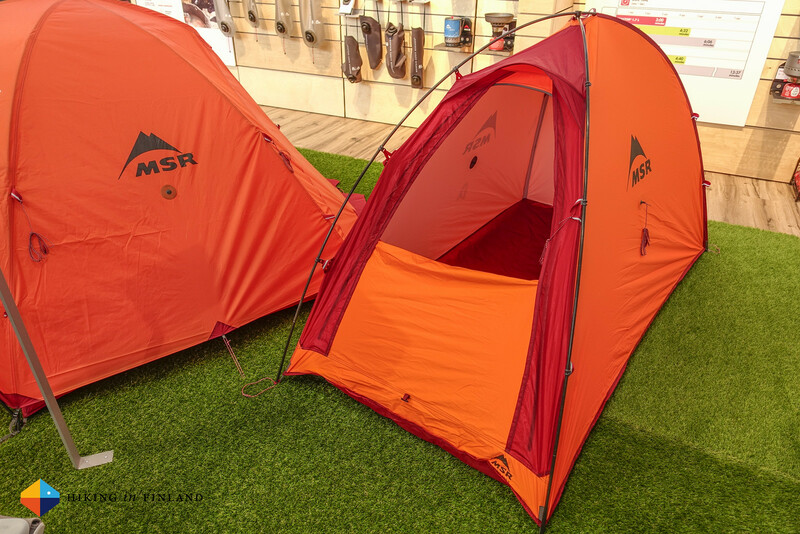 A tent used by Ueli Steck is the MSR Advance Pro 2. 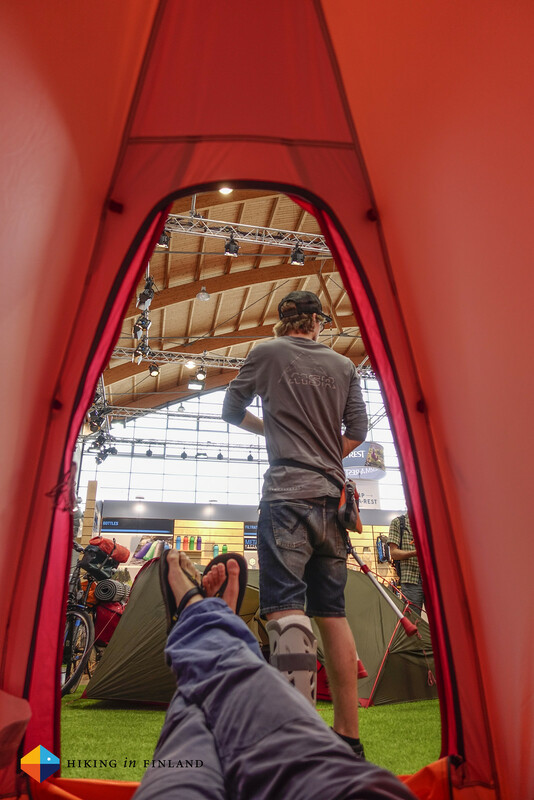 Ueli was let go by MH earlier this year and was happy to find a new home with MSR, and the Advance Pro 2 certainly looks like a great home away form the basecamp. It’s made for expedition use in demanding environments, but also should stand up to the elements in the hills and fjells of lesser ranges. It uses Easton Syclone poles which are made from aerospace-grade composite materials, which can flex further & take more abuse than any other pole material - which makes them probably the most resilient tent pole ever made. It is pretty spacious for one and cozy for two, easy to set up and the small footprint also fits on narrow snow ledges high up. 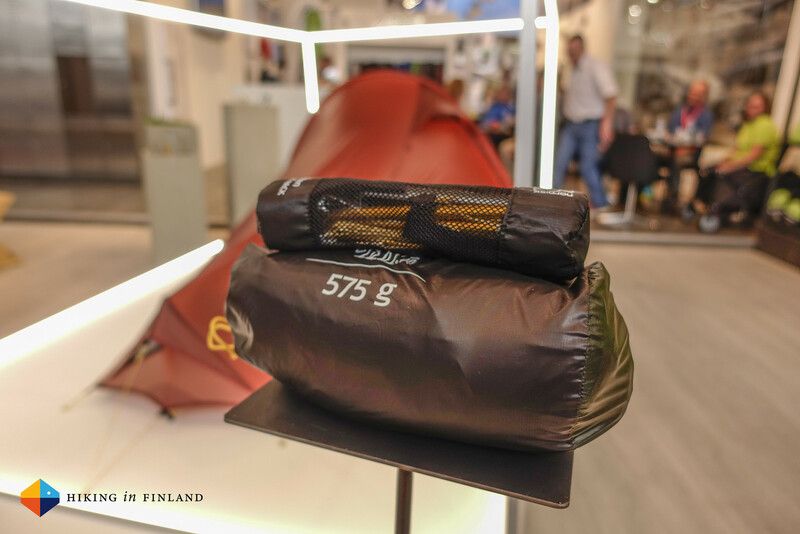 At 585€ it is not cheap, but hey - few tents are! But if you prefer cheap, I found this gem of a tent. At 4,99€ the price is unbeatable, however, I reckon that’s what the lady charges you only if you order a significant quantity of these. You could gift all your friends and family for years to come with such a fine tent, though, if you decide to walk down that road. Slightly more expensive, but undoubtedly better constructed & designed is the Marmot Bolt 2P tent. Steep side walls ensure plenty of head room and a feeling of space in the 1.040 g light tent, and at 500€ it is also not overly expensive. 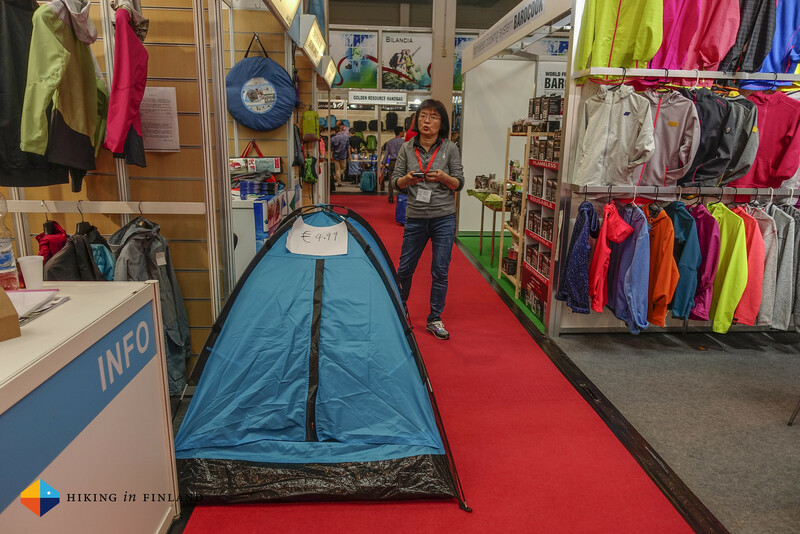 The flysheet is highly waterproof and also UV resistent, which is good news for the longevity of the tent. There’s space for kit and cooking in the vestibule as I demonstrate so professionally above, and on the inside you also find Lamp-Shade-Pockets which diffuse the light of your headlamp for nice atmospheric light inside. 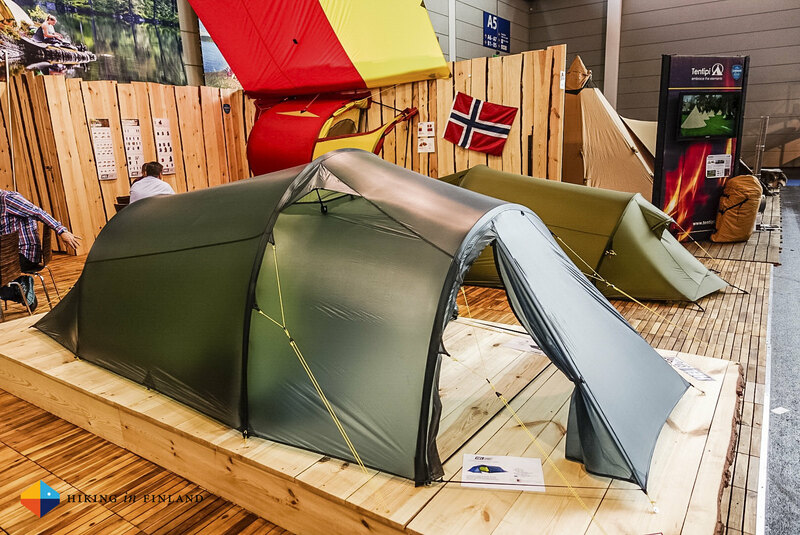 And lastly a quick look at the new tents from Vaude. I already shed some light on the Hogan SUL 1-2P and also in real life it looked good. 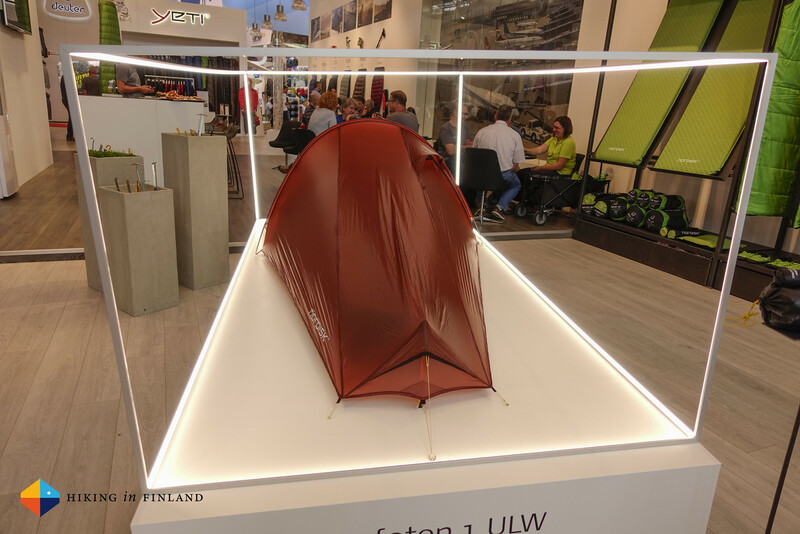 A good seating height for me, a large vestibule and an overall streamlined and smooth design will make this already popular tent probably even more popular in the future. 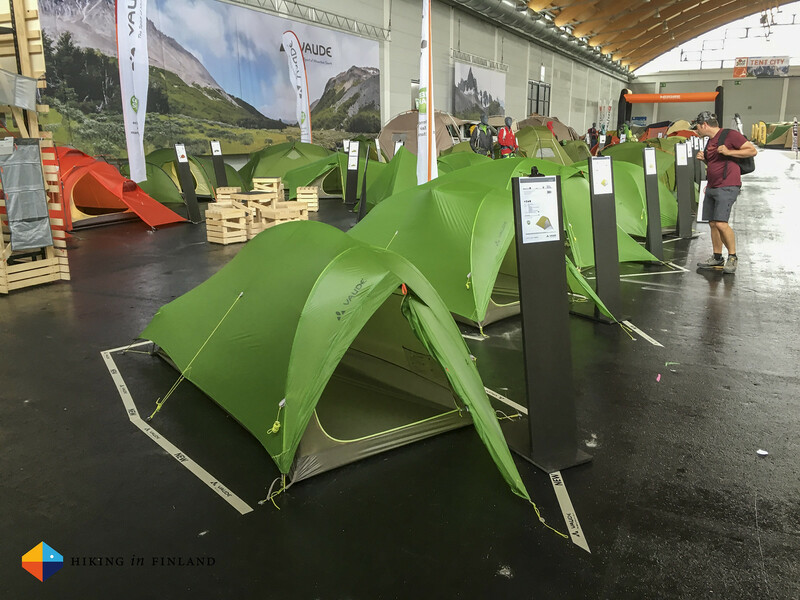 The Vaude Invenio SUL 2P Tent got an overhaul for 2017, and the tent poles went now under the fly. Design-wise it reminded me of the Hubba/ Soloplex/ Notch shelters, with two doors opposite of each other. 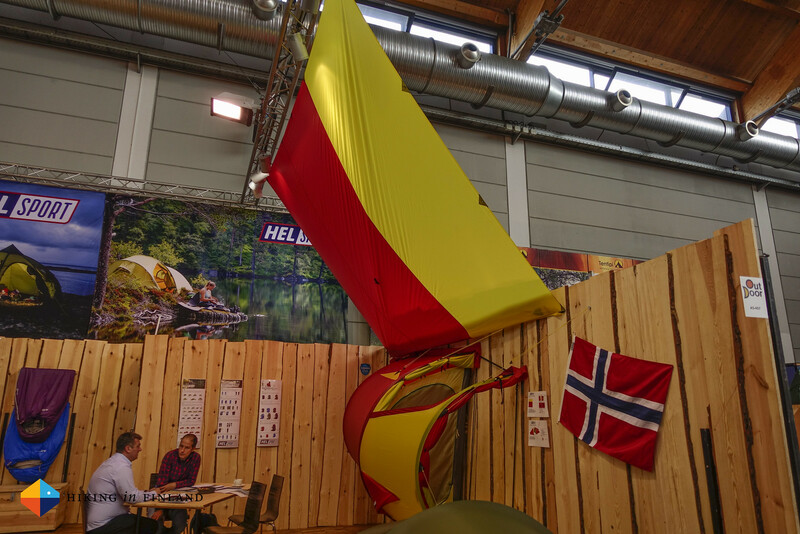 The flysheet can be rolled up on both sides for wide views outside and also otherwise this tent has all the bells and whistles along which you want from a tent. Benjamin from hrXXLight also highlights some new tents, and if you were this year at the OutDoor and have a post with tents online, please comment with a link and I’ll add it here!